Never been on skates before? 80% of the women who try hockey have never skated before. Almost all of the women who try hockey cannot skate. Don’t worry…we will teach you to skate! Nervous about trying hockey? It is totally normal to be nervous. It’s not every day you try something new! Everyone is scared the first time out! Nervous about coming alone? While some women come with their friends, the majority of women come alone. 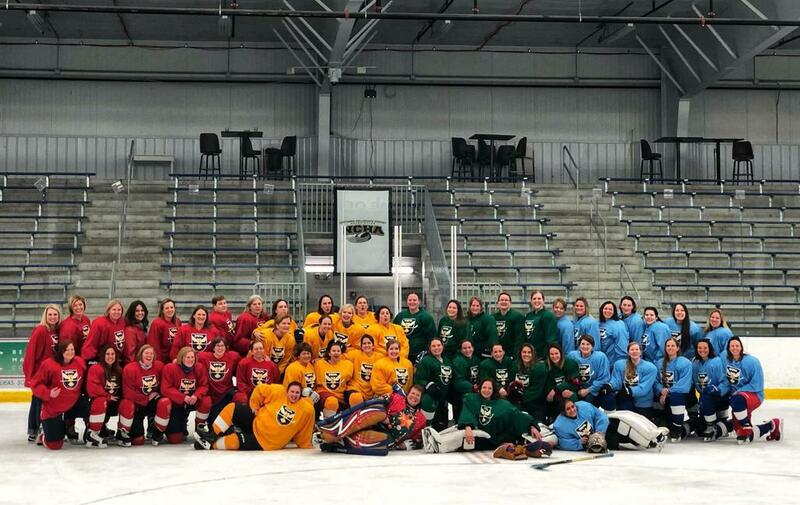 Past participants found that the women they met at “try hockey” have become some of their closest friends. Not new to hockey and wondering if you can try hockey again? Yes! This is a great opportunity for beginners to get back on the ice in a very slow safe environment. Coach G comes to us from Plattsburgh State Division 3 hockey in New York; she was the assistant captain of her team. Coach G has coached AAA girls hockey in Boston, WEHL 16U girls hockey in Madison, and is currently the girls Lakeshore Lightening coach. OWHL is a fun, friendly, and encouraging hockey league. While we are a competitive group, we also want a safe and fun skating environment. We welcome all levels of skaters from all surrounding areas. ©2019 Ozaukee Ice Center / SportsEngine. All Rights Reserved.